100% ORGANIC extra virgin oil from coconut copra, originally from the Philippines. 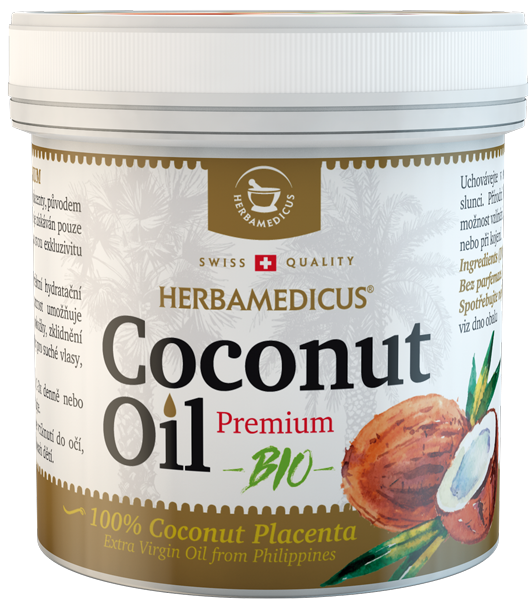 This high-quality oil is unique because it is harvested only from the highest quality part of a coconut - copra, which is for its exclusivity also known as “coconut placenta”. Coconut oil is highly desired, above all for its perfect moisturizing and hydrating ability. His exceptional versatility allows the use for nutrition as well as regeneration of dry and sensitive skin, soothing and cooling after tanning, makeup removal, as a pack for dry hair, and for relaxing massages. How to use: Apply on clean skin 1-3 times per day or as needed. When applied to the skin, massage it lightly in.